As suggested earlier this year in a comment thread. See the details below. 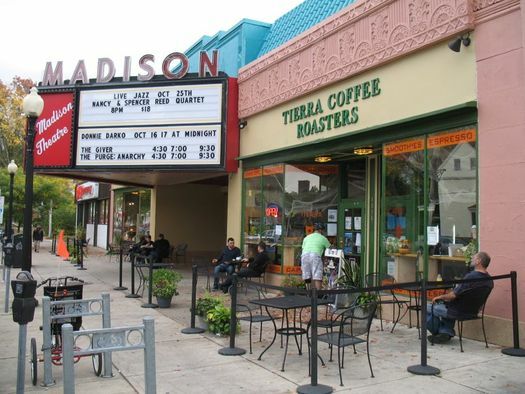 Tierra Coffee Roasters and the Madison Theater in Albany both were mentioned. A few months back as part of an AOA birthday week drawing asked people to name something that's a highlight o f their neighborhood. And there were a lot of things mentioned. You can probably guess some of the things mentioned, either because they're popular or prominent. But there were also a lot of other things mentioned that are smaller or more out of the way, so maybe they're new to you. Because we got so many suggestions, we figured it'd be useful to fold them into a clickable map. This is fantastic. It's so easy to forget about the local gems that are right under our noses. This map/list is wonderful, but even better than that, it also made me think about additional local places and things that I'd put on my personal list. There's so much to appreciate and love about living here. Thanks, AOA!